This story was delivered to BI Intelligence “Fintech Briefing” subscribers. To learn more and subscribe, please click here. Customer education within financial services has increasingly come under the regulatory spotlight, and there seems to be every reason to devote more attention to the issue, according to a new study by pollster YouGov. The study surveyed 12,507 bank customers worldwide, and looked at attitudes toward the banking industry. 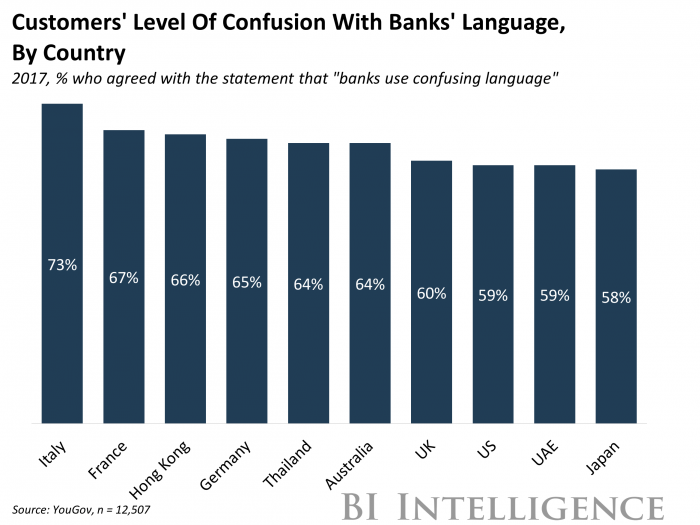 Among the aspects investigated was the effectiveness of banks’ customer communication.